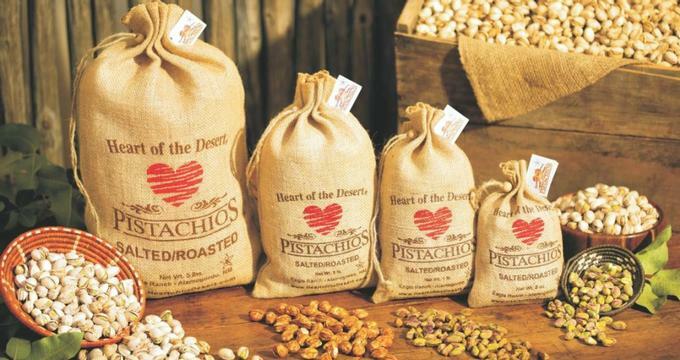 Visit the Heart of the Desert and Eagle Ranch Pistachio Farm in Alamogordo to be able to see pistachios in all forms of growth and production, before picking a bag up to take home. The farm tours take guests through the stages of pistachios and are an interesting look at this self-contained local business. Owned and operated by husband and wife George and Marianne Schweers after George left his career in the Air Force in the 1970s, the farm was originally run entirely by the family. In fact, the Schweers even developed their own processing operations, which included fabricating equipment and figuring out how to package the end product. The ranch is currently the largest (as well as being the first) producing pistachio grove in New Mexico. The vineyard and wine operation were added in 2002 to include additional diversity to their operation. They have since won awards for their wines, including their Cabernet Sauvignon, Chardonnay, and Corazon Gitano. The main attraction at the ranch is taking a farm tour of where they grow the pistachios. Although the vineyard is not included on the official tour, guests can also see that as well when visiting the ranch. The tour of the ranch is a wheelchair accessible walking tour, one that takes just under an hour. The tour takes visitors through the fields, the product processing plant, the packaging department, and the shipping department. This allows for a super in-depth look into how their standards are maintain and their renowned product is produced and prepared for sale and shipment. The tours of the ranch are offered to the public Mondays through Fridays starting at 1:30pm from September through May, and Mondays through Fridays twice daily starting at 10:00am and 1:30pm. Groups of more than ten people at a time require reservation and special arrangement. Reservations can be made by contacting the staff at the ranch directly by either phone or email. Tours are offered free of charge. Make sure to wear comfortable shoes. The pistachio tree is in the same family of trees that grow poison oak, mango, and cashews. As it is considered deciduous, the tree needs around 1,000 hours of growing time around 45 degrees Fahrenheit in order to produce successful pistachios. It is a smaller tree at around 30 feet tall. The pistachios produced at the farm are considered some of the best in the area and are sold worldwide! All processing is done directly on the farm so that the staff can see the product go from seed, to tree, and eventually into a package for sale! The vineyard, which is located a short distance from the main ranch, contains over 24,000 different grape vines. There are seven different varieties of grapes being grown at the ranch, which includes Cabernet, Zinfandel, Shiraz, Chardonnay, Gewurztraminer, Malvasia Bianca, and Riesling. Each type of grape requires a specific type of production - which has an impact on the final product. The types of the grapes grown on the ranch have all been specially selected and cultivated to create the final product which includes 12 different wines (some of them are even award winning). There are many special events held at the ranch throughout the year, as well as having the space open for reservation for private events. The ranch features frequent art events, which include a supervised painting experience with an art instructor and a glass of wine made on-site. They also host “Wine Wednesday,” which include wine and live music as well as snacks. Occasionally there will also be yoga classes and other events held outdoors, which allow guests to see the ranch in a whole new light. For guests wanting to rent space for their private event, the ranch is happy to help! The Tuscan Patio offers over 2,000 square feet of space perfect for weddings, receptions, birthday parties, and other special events. Beer and wine is available on site, and the patio can comfortably fit around 150 people with full dining space, and 250 people without tables. There is a built-in stage, and access to microphones and piped in music (both at an additional rental cost). Obviously, one of the best parts of visiting the ranch is visiting the gift shop and taking home a bag of pistachios (which come in many flavors like green chile, salted, and chili lime) and/or a bottle of wine. The shop also offers a variety of other products for purchase, including gourmet foods, cookies, candies, and gift baskets that can be customized.